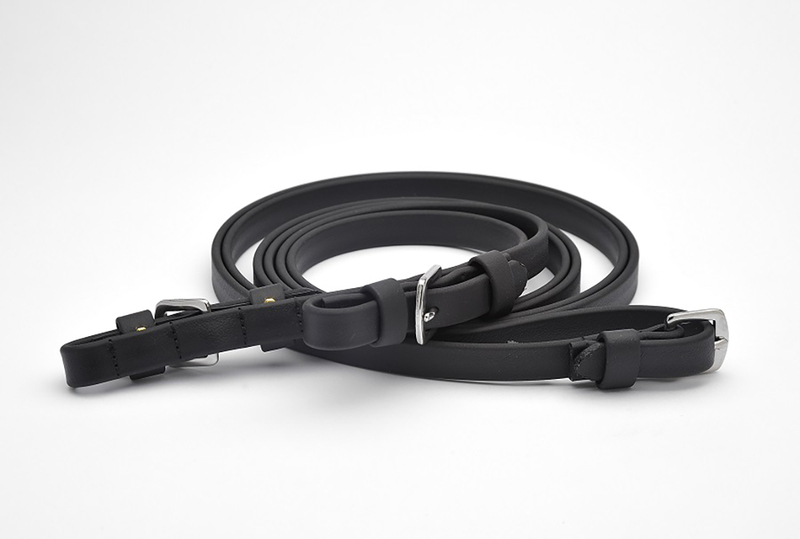 These Beta reins are made in the traditional English style with buckles on both ends. Made in our workroom from 5/8” wide 54” long Genuine BioThane USA to perfectly match are Beta Headstalls. Stainless Steel buckles are sewn and will not rust. Available in Black, Brown, and Chestnut. 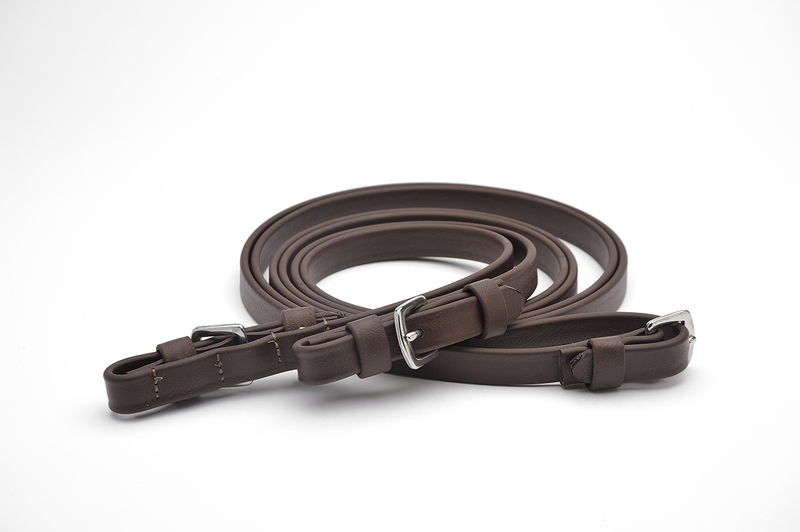 These Beta reins are made in the traditional English style with buckles on both ends. Made in our workroom from 5/8” wide 54” long Genuine BioThane USA to perfectly match are Beta Headstalls. Stainless Steel buckles are sewn and will not rust. Available in Black, Brown, and Chestnut.